Die SafetyWeek ist die Plattform fÃ¼r das gesamte Spektrum der Produkte der Fahrzeugsicherheit und der Technologien, die in ihrer Entwicklung eingesetzt werden. ZusÃ¤tzlich zur Ausstelllung werden verschiedene Events angeboten. Informationen und das Programm finden Sie hier. The Hi-Motion family of cameras are all full HD digital high-speed camera systems developed by NAC Image Technology for the Broadcast Television Industry. Since the original Hi-Motion was first introduced in 2005, the system has been embraced by broadcasters and sports producers around the world, including the World Cup in 2006, Beijing 2008, Vancouver 2010 and most recently with 22 Hi-Motion II systems at the games in London in 2012. The excellent slo-motion images, (at up to 20 times slow down) of the Hi-Motion give sports producers and broadcasters dramatic images that show detail and emotion not seen before, that have been used to enhance the coverage and understanding of many sports. 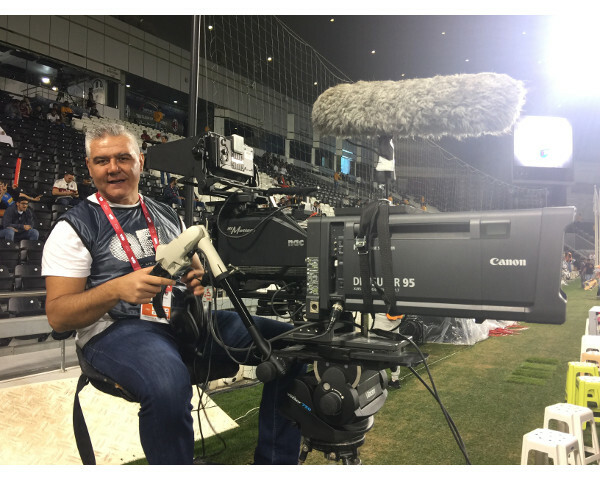 The ease of integration within the standard Outside Broadcast workflow and ease of operation both for the Camera Operator and the Record/Replay operator have led to the rapid acceptance of the Hi-Motion cameras as another part of the Producer and Directors tool kit in telling the story of the match. The Hi-Motion has several unique features among the competing Ultra Slo-Motion Cameras; the Hi-Motion Cameras are the only with 3 sensor technology, the same as all mainline broadcast cameras; Hi-Motion has the industry standard B4 lens mount so that all of a Broadcasters or Facilities existing standard lenses can be used, without the need for adaptors or modification. • EVS Control Integration "Hypermotion" from an LSM panel. • Stand-alone operation. E.g. On Steadicam with RF Links. • Radio Camera Systems available from BSI & Broadcast RF. Emmy Award winning technology. Hi-Motion camera systems are not only used on the world's top sports event coverage but also as a part of the regular coverage of professional matches; English Premier League Football; Champions League Football; NFL; NBA; MLB; AFL; major international motor racing; International Cricket; Rugby Union & League; Horse Racing; Equestrian etc. 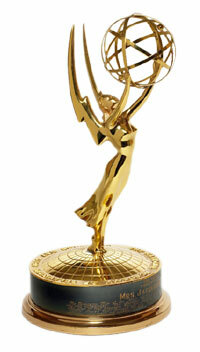 The Hi-Motion also won the 62nd Emmy Award (Technical/Engineering Achievement Award) from the National Academy of Arts and Sciences in recognition of all the achievements in sports broadcasting and television production. Hi-Motion II is available to purchase or rent worldwide. Please contact Ikegami, NAC or your local rental house depending on your requirement. Read more about the Hi-Motion II HD Ultra Slow Motion Camera. Bei der Live-Ãœbertragung des Super Bowl Finales 2013 waren fÃ¼nf Hi-Motion II Ultra Slow-Motion Kameras von NAC im Einsatz. Hi-Motion II Kameras verwenden einen einzigartigen CMOS-Sensor und ermÃ¶glichen die die gleichzeitige Ausgabe von Echtzeit-Video und Ultra-Slow-Motion Video in Full HD. Lesen Sie hier einen ausfÃ¼hrlichen Bericht sowie hier detailierte Informationen zur Hi-Motion II. Extreme Zeitlupenaufnahme in HD-QualitÃ¤t werden immer eine Herausforderung fÃ¼r jeden Kamerahersteller sein. Dies gilt umso mehr, wenn es sich um Live-Ãœbertragungen im Fernsehen handelt. Denn hier ist neben absoluter QualitÃ¤t und ZuverlÃ¤ssigkeit die reibungslose Implementierbarkeit in eine komplexe Produktionsumgebung gefordert. FÃ¼r Leistungen und Innovationen in diesem Bereich hat NAC einen Emmy erhalten, den bedeutendsten Fernsehpreis der USA. NAC Memrecam-Kameras wurden eingesetzt bei den olympischen Sommer- und Winterspielen sowie bei der FuÃŸballweltmeisterschaft. Aber auch in der Formel-1, beim Tennis, Baseball, Cricket, Golf und Pferderennen wÃ¤hlen Fernsehsender weltweit Kameras fÃ¼r NAC um Aufnahmen in Extremzeitlupe in hÃ¶chster HD-QualitÃ¤t ihren Zuschauern bieten zu kÃ¶nnen. Die ausfÃ¼hrliche Pressemeldung von NAC erhalten sie hier.